The Roadrunners were shut out for the fourth time this season in Sunday afternoon’s 5-0 loss to the Ontario Reign at Citizens Business Bank Arena. In what was their final regular season meeting with Ontario, the Roadrunners finished with a 7-4-1-0 record against the Reign. 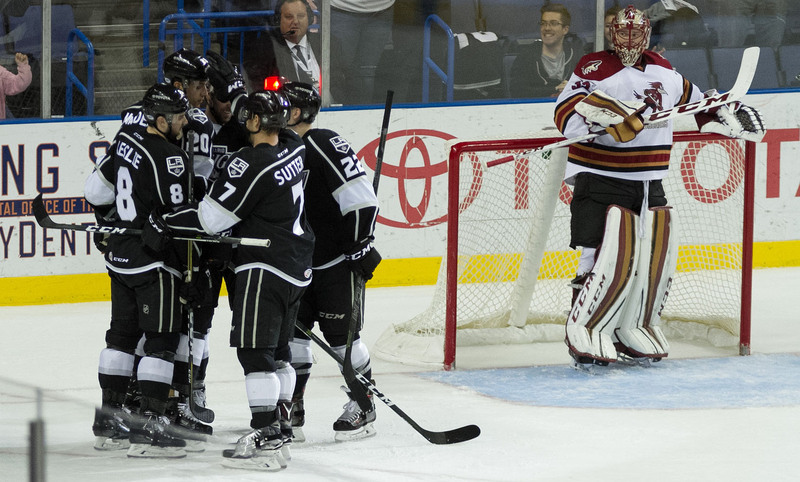 Sunday’s affair was troublesome from the get-go; the Reign registering 18 shots through the first nine minutes of the contest, and 23 total in the first period alone. Ontario scored a pair of goals in each of the game’s first two periods of play, and added one more midway through the final frame. Goaltender Adin Hill made 36 saves in the loss. The team finished its five-game road trip with a 2-3-0-0 record. With the loss, the Roadrunners remain at sixth-place in the Pacific Division. The club’s win percentage drops to .500, now farther away from the Bakersfield Condors’ .537 mark. Bakersfield owns the grouping’s fourth and final playoff spot; they were idle on Sunday. 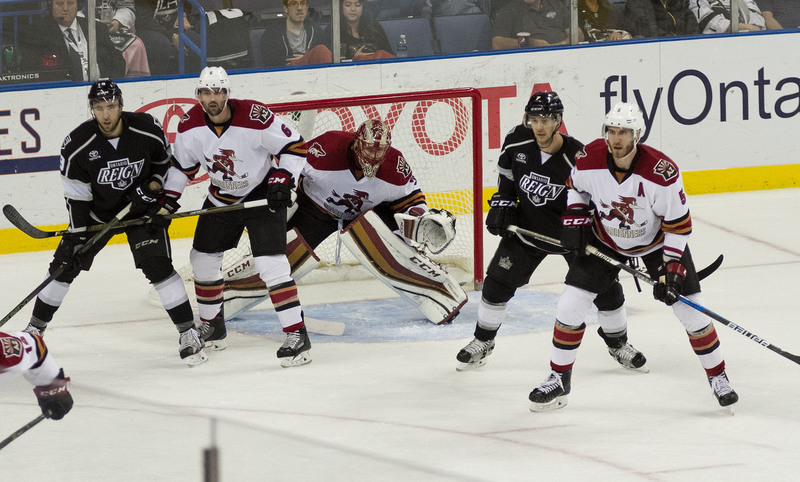 The club now returns home to Tucson Arena for a pair of games against the Bakersfield Condors on Friday, March 17 and Saturday March 18. Friday’s game will celebrate St. Patrick’s Day, while Saturday’s contest will feature ‘Cancer Awareness Night’.